U.S. Motivational speaker and author. In the “Product Creation Goldmine” 3 day workshop that I attended, Peter Thomson explained how he manages his priorities. “I don’t have a To Do list. I have a Do list”, he said. We can create endless lists of things to do. Don’t get me wrong, we have to make lists because it focuses us on the next thing we need to do and it can also give a feeling of satisfaction when the list is complete. 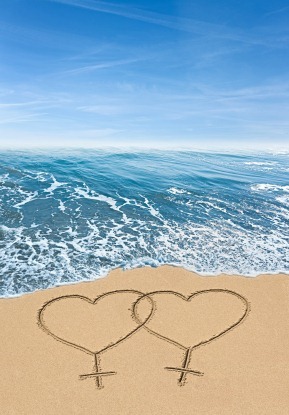 Happy Happy …. So why do we forget and get ourselves bogged down with big lists and then feel the pressure and probably demonstrate stress? Because we forget. I don’t know why. I do it myself! I think the key is set up something to remind you and feel really good about how free we are doing what we need to do. Re(place your)mind yourself and bump up the good feeling. I use Simpleology’s programme to help me focus, in particular, what they call the “Dream catcher”. I dump my thoughts into the Dream Catcher and forget about them until I “Start my day”, as they put it, which is another part of their programme. So getting things done is getting rid of the things we need to do next whilst do what we need to do now and then feeling really great about how unpressured we really are and feeling good for no reason whatsoever. We have the list. The list doesn’t have us! As a former Business Continuity Manager, the main thing I learnt was gauge the impact and the urgency – What is the impact of not doing something? 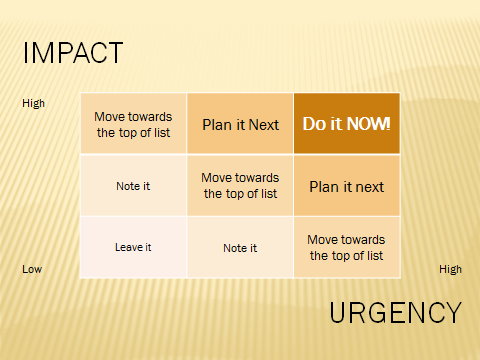 The combination of how urgent and what is the impact of not doing it works for me! A Thought from a "Cluttered" Mind! A Thought from a “Cluttered” Mind!. Perhaps there is some truth in the following quotation! Nearly half of India’s 1.2 billion people have no toilet at home – fewer than have mobile phones – according to the latest census data.